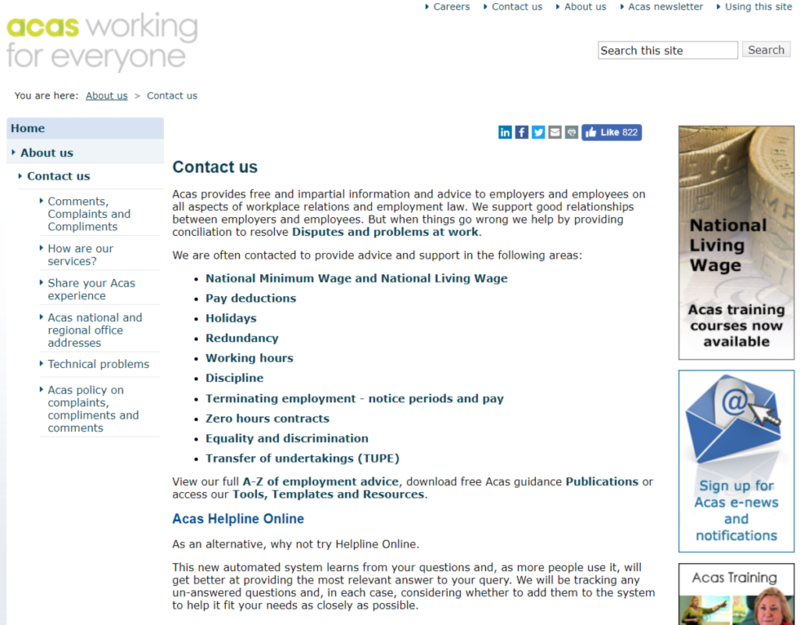 Phone the Acas helpline by dialling their UK contact number 0300 123 1100 for confidential advice on employment matters including unfair dismissal, wage disputes and tribunal cases. Contact the Advisory, Conciliation and Arbitration Service (Acas) over the phone by dialling their helpline number 0300 123 1100 for free impartial support relating to an employment matter. For instance if you believe that you have been unfairly dismissed you can phone this helpline to request a hearing at an employment tribunal, which will determine whether you are eligible to claim compensation. Moreover Acas can provide advice on how to complain to your company’s human resources (HR) department if you have been discriminated against whilst at work. This can include bullying, sexual harassment and discrimination based on your religious beliefs. Furthermore if you are uncertain of the benefits you are entitled to whilst working under a zero-hours contract then you may phone the Acas helpline for assistance. Calls to the Acas helpline 0300 123 1100 are charged at the same rate as phoning local 01 and 02 area code numbers, which means you will be able to contact them for free if your tariff includes the use of inclusive minutes. However if you have run out of these minutes you will be obliged to pay a per-minute fee plus an access charge to connect the call. Lines are open from 9am-5pm Monday-Friday although you should expect closures on UK bank holidays. Employers can contact Acas on their telephone contact number 0300 123 1150 for general enquiries including conflict resolution guidance, assistance on making necessary redundancies and responding to allegations of discrimination between your employees. 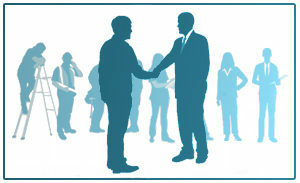 You may also phone this helpline to request free materials for creating clear disciplinary procedures and processes for resolving worker disputes. Both employers and employees can contact Acas in writing for support by either sending a physical letter to their postal address or by sending their advisors an email. They also offer a range of public profiles on social media websites where you may view the latest updates in government legislation which may affect your employment rights. Contact Acas via email by completing their online contact form which you may use for training requests, for assistance with creating workplace tolerance projects and monitoring services. Ebostiwch gynghorwyr cyflogaeth Acas gan ddefnyddio eu cyfeiriad ar-lein linegymorthacas@acas.org.uk, nodwch eich rhif ffôn a phryd y byddai’n gyfleus iddynt alw yn ôl. Acas runs several profiles on popular social media websites to advertise changes in UK government legislation which may affect employer and employee rights. You can also message these profiles for support with a workplace incident, however please do not include any sensitive information about you or other parties involved via public portals.